Are dental implants in Herefordshire your first choice too? Do you even know what dental implants in Herefordshire are? If you have yet to lose any teeth, you may never have heard of them, but they are worth knowing about. Dental implants in Herefordshire from Warrendale Dental Care are the most recent generation of tooth replacement options. They are different from dentures and fixed bridges because they are the only method that replaces the root of the tooth and the crown. The primary reason is that dental implants offer superior stability without having to compromise any of the natural teeth in your mouth. The replacement roots are made out of titanium, which is a highly biocompatible material. When it goes into the jawbone, the bone responds by growing new bone tissues all over it. After this process is complete, the implant will be held in place as firmly as a real tooth. Titanium is also strong, lightweight and does not corrode, so once it is in place, it can last for at least 15 years. In fact, if the implants are well taken care of, it’s not uncommon for them to last for decades and they could last for the rest of your life. Dental implants are pretty easy to take care of too. They can’t decay so all you have to do is concentrate on removing plaque. This is important as it is possible for gum disease to loosen the implants and they may fall out. But if you follow a thorough twice-daily brushing and flossing regime, and make regular trips to the hygienist to have plaque removed, you should be fine. If you are looking at decades with dental implants in Herefordshire, you will find that they can work out as similar in cost to dentures or fixed bridgework because of their durability. If you lose a tooth, book a consultation to get dental implants. If you just want to find out more, we’re happy to chat at your next check-up. This entry was posted in Dental Implants on 16th April, 2019 by Warrendale Dental Care. If you have been progressively losing more and more teeth, you have probably also seen your food choices diminish as each tooth goes. If you have now lost several teeth, you may find you are getting uncomfortably limited in the foods you can eat. How long is it since you were able to bite into a crunchy apple or eat a steak? If you’d like to get the full range of foods back into your diet, then it’s time to seriously consider replacing those lost teeth with dental implants in Herefordshire from Warrendale Dental Care. Dental implants are different from dentures or bridges because they give you back tooth roots as well as crowns. Roots are there in the jawbone to stabilise your teeth so that you can eat what you like. The average adult male has a chewing pressure of around 97kg or 200lbs, and dental implants in Herefordshire can withstand this easily. Dental implants also help keep your jawbone strong and healthy by acting as replacement transmitters for the tremors that are sent out into the bone around a tooth root every time upper and lower teeth come together. These tremors tell the jawbone cells to keep on renewing themselves. Without these signals, the jawbone actually starts to dissolve itself and can shrink in size and density by up to 25% in the first year after losing a tooth. This is why dentures that once fitted really well can become increasingly loose, no matter how many times you get them relined. If you have loose dentures and don’t want to switch to dental implants in Herefordshire, we can use implants to stabilise your dentures. You still take your dentures out at night to clean them and soak them, but during the day, they are attached to your jawbone and therefore are much more stable. Can you have dental implants? These days, many more people are able to have dental implants fitted. You need to have a healthy jawbone to put them into, but if yours has already deteriorated, we can often improve its capability with bone grafts and sinus lifts. Book a consultation to find out more. This entry was posted in Dental Implants on 9th April, 2019 by Warrendale Dental Care. When you start to lose your teeth, it’s best not to take too long in replacing them. Whether you have lost a couple of front teeth in an accident, or one or two at the sides and back, or the whole lot are on the way out, come in and find out if you can replace them with dental implants in Herefordshire. At Warrendale Dental Care, we are finding that most of our patients who need to replace lost teeth choose dental implants in Herefordshire. This is because dental implants are the only way you can get your full chewing power back without damaging your remaining teeth. But, if you want to get dental implants in Herefordshire without having to have preparatory work, you need to act quickly. Dental implants are small screws or posts that we insert into carefully created channels in your jawbone. Over the following 2-6 months, the bone fuses with the implants by growing new tissue all over them. Once this is done, the implants are held securely in place by the bone and can withstand chewing forces of up to 97kg or 200lbs. That’s a lot of force. In order to be fused with the implants and be able to hold them securely in place, your jawbone needs to be in good condition when the implants go in. What many people don’t realise is that as soon as you lose a tooth, your jawbone starts to deteriorate. It dissolves itself, losing up to 25% of its size and density in just one year. As your jawbone thins and becomes spongey, it is increasingly less able to integrate with the implants and hold them in place. When you come to us for a consultation for dental implants in Herefordshire, we will look at your jawbone, using x-rays and scans. If we think it has deteriorated, we can either graft in some bone to boost it, or, if it is the upper jaw, we can carry out a sinus lift or use extra-long implants that anchor into your cheekbone. So, don’t delay. Come in and see us as soon as you can, and let’s get that dental implant ball rolling. This entry was posted in Dental Implants on 26th March, 2019 by Warrendale Dental Care. Taking good care of your dental implants is really important if you want to keep them healthy and functional for years to come. Thorough oral hygiene is necessary to prevent peri-implantitis, an infection of the gum tissue surrounding the dental implants. With proper oral care and regular dental visits, you can stay on top of your implant health without problems. At Warrendale Dental, we have faith in the innovative properties of dental implants in Herefordshire and we want to help our patients take good care of them so that they can last for many years. Unlike other replacement options, dental implants are organically linked to the jawbone and function just like tooth roots. Just like your normal teeth, dental implants are prone to infection and disease. Although replacement teeth cannot get cavities, dental implants are susceptible to a special type of gum disease, peri-implantitis. If caught early on, peri-implantitis can be easily treated and is reversible. If not diagnosed on time, peri-implantitis will lead to implant loss and further bone and tooth loss. For an accurate assessment of the health of your dental implants in Herefordshire, our dentists will need to see you regularly after your implant operation. Our first concern is to ensure that osseointegration continues uninterrupted. We will then measure the gums around your dental implants and check your x-rays to see if the implants are integrating properly. Once the osseointegration is completed, you will still need to visit the dentist frequently to make sure that your dental implants are functioning properly. As with your natural teeth, you have to collaborate with your dentist to ensure that your dental implants stay strong and healthy. Dental implants are very durable but are prone to the same wear and tear as natural teeth. Dental implants are a great way to replace your missing teeth and achieve a viable aesthetic and functional result. They are not designed for everyone, however. If you are interested in this treatment and you would like to learn more about it, don’t hesitate to call us today. This entry was posted in Dental Implants on 19th March, 2019 by Warrendale Dental Care. How effective are dental implants in Herefordshire? Dental implants are very different from conventional dentures and bridges because they have the ability to integrate with the bone and become a part of the body – just like the missing tooth roots they are replacing. At Warrendale Dental Care, we provide a wide range of dental implants in Herefordshire, designed to replace from one to several missing teeth. Modern dental implants are much more creative than implants a few decades back and offer many different tooth replacement solutions – even for patients with many missing teeth. The science behind dental implants is very easy to understand. These small posts are inserted into the jawbone, in the places of the missing tooth roots. There, they are integrated with the jawbone because they are made of titanium, a metal alloy that bonds with bone tissue. This process, which is formally known as osseointegration, is different for each person. Some patients may need a few weeks for their implants to fuse into the jawbone, whereas others may need several months before this process is completed. Once osseointegration is achieved, our implant dentists will adjust your replacement teeth over your dental implants. In some cases, restorations can be placed on the same day as the implant operation. Dental implants have many benefits, some of which cannot be achieved with conventional tooth-replacement methods. Unlike bridges and dentures that sit on the gums without interacting with them or stimulating them, dental implants function just like real teeth, allowing the circulation of blood from the roots to the crowns. Over time, this leads to tissue growth and prevents the jawbone from deteriorating. Moreover, dental implants do not harm existing teeth – instead, they protect them from moving into the gaps created by the missing teeth, thus preventing further tooth loss. Last but not least, dental implants last longer than any other tooth replacement procedure – in fact, they can last for many decades if you take proper care of them. And they are not as expensive either if we take into account that dentures and bridges need to be replaced more often than them. This entry was posted in Dental Implants on 12th March, 2019 by Warrendale Dental Care. Modern production techniques allow your substitute teeth to be produced with a high degree of precision. 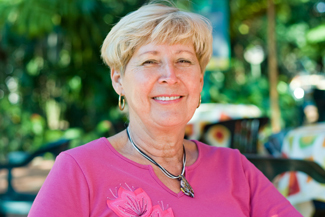 Dentures and bridges can be meticulously shaped to provide great functionality. However, the stability of replacement teeth can often be a source of irritation if you have to spend lots of time using adhesives or readjusting clips. Having dental implants in Herefordshire will bring you long-lasting stability as well as finely crafted new teeth. At Warrendale Dental, we can provide personalised substitute teeth that will last for decades. If you’d like some Herefordshire dental implants that look great and do their jobs reliably without any hassle, you’ve come to the right place. 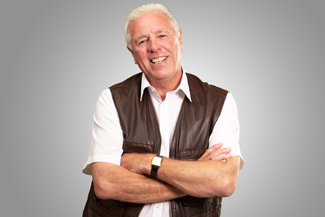 Dental implants in Herefordshire will change your dental experience for the better. Using contemporary technology, knowledge, and skill, we will take away the problems that developed when you lost your teeth. No matter how many teeth you’ve lost, we can give you a solution that performs as well as your natural teeth did. They’re just as easy to keep clean, and you don’t need to adjust them because we make sure they’re firmly affixed during the implanting process. To acquire dental implants in Herefordshire, you first need to come and talk to us. Our friendly staff will discuss your oral health history and help you plan your dental future. We’ll use 3D-imaging software to form a detailed impression of your teeth. We’ll also assess the condition of your jaw. It’s crucial that your jawbone is sufficiently dense, so some preliminary treatment could be required before we progress to the next stage. In an episode of minor surgery, our dentist will place your Herefordshire dental implants into your jawbone. The implants are small metal posts that resemble screws. Afterwards you’ll have some time to rest before you return to our practice, where we’ll attach your custom-made new teeth to the implants. Alongside the implants’ longevity and performance, you’ll also find that your facial bone structure benefits from this treatment. That’s because the implants prevent deterioration in the jawbone, so you won’t develop the sunken appearance that often comes to those who have lost their teeth. This entry was posted in Dental Implants on 26th February, 2019 by Warrendale Dental Care. Missing one or more teeth? If you are missing many teeth and you have been wearing dentures for a long time, you may have had enough of the hassles that come with them. If you are only missing one tooth and the gap is hard to see, you may be tempted not to replace it. However, this is not a wise decision. Tooth loss – even when only one tooth is involved – is quite serious and can lead to severe dental issues in the long run. At Warrendale Dental Care, we believe that dental implants in Herefordshire are the most reliable treatment for missing teeth. If you want to enjoy a restored oral function for years to come, you should consider dental implants over temporary options such as bridges and removable dentures. Dental implants in Herefordshire are easy to install, affordable and have many benefits for your oral health and wellbeing. A lost tooth is not only a gap in your smile. Over time, the neighbouring teeth will move closer to the gap – in an attempt to close it – and this can lead to serious problems, including further tooth loss and bone deterioration. By filling in the gaps created by lost teeth with dental implants, you can avoid both problems and ensure that your teeth remain strong, healthy and functional. Every time you lose a tooth, a connection with your jawbone ceases to exist. This is because teeth are made of a complex web of tissue that sends blood and other nutrients to the jawbone through biting. When the biting process is disturbed by tooth loss, then your jawbone will gradually start to deteriorate. Dental implants act as tooth root replacements and restore the balance in your mouth, ensuring that all nutrients reach your jawbone. Moreover, dental implants have the ability to help the jawbone regenerate. Missing teeth are not a pleasant sight and people who have them are more likely to hide their smile or avoid socialising. If you want to start feeling good about the way you look, then why not try dental implants in Herefordshire? This entry was posted in Dental Implants on 19th February, 2019 by Warrendale Dental Care. Dental implants are a great option for long-term tooth loss because they are placed into the jawbone and act as replacement tooth roots. 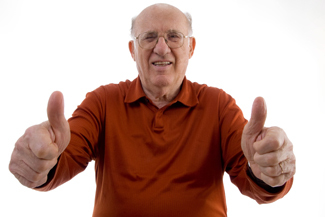 Dental implants in Herefordshire are very strong, sturdy and reliable. 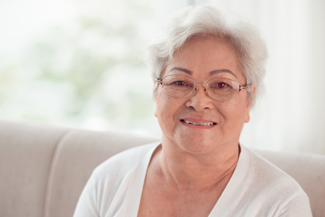 When you choose to have dental implants with Warrendale Dental Care, we will want to see you regularly to make sure they are being well maintained. Dental implants can last for decades, but you may need to replace some or all of their components at some point in your life. Which are the main components of dental implants? Dental implants in Herefordshire are made of 3 parts – the main implant post that is placed into the jawbone by the dentist, the connector (abutment) that allows the restorations to be mounted on top of the implants, and the restorations, which can either be crowns, dentures or bridges. The abutment and the replacement teeth are more susceptible to damage than the actual implant because they are exposed above the gum line. Can I know in advance how long my dental implants will last? The simple answer is no. However, you can prolong the life of your dental implants in Herefordshire by taking good care of them and visiting your dentist regularly for check-ups. With regular care, implant posts can last for many decades – even a lifetime if you had them later in life. However, crowns, dentures, and bridges will need to be replaced every 10-15 years for hygiene reasons. What can cause implant failure? Dental implant failure is very rare and your dentist will do their best to eliminate the possibility of such an outcome. However, if you smoke or have diabetes, you should discuss implant treatment with your dentist carefully. While many smokers have had dental implants over the years, studies have shown that smoking can contribute to implant failure, even if your dental implants fuse successfully. Likewise, dental implants in Herefordshire are not recommended to patients with uncontrolled diabetes. Thinking about dental implants in Herefordshire? If you want to have dental implants to replace one or more missing teeth, you need to book a consultation appointment with us. We will happily answer all your questions. This entry was posted in Dental Implants on 12th February, 2019 by Warrendale Dental Care. 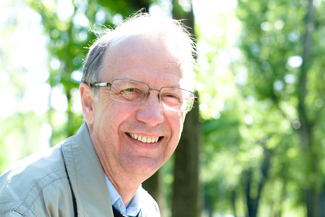 Many different steps make up a tooth-replacement treatment using dental implants. In Herefordshire, at Warrendale Dental, we are here to ensure that each of these goes as smoothly as possible when you restore your smile with us. One of the skills we offer is communicating detailed information about your treatment to you in a way that is understandable and useful. Many patients want to know about the construction of their dental implants. If this is you, then we are happy to give you as much detail as you want. We can also show you a dental implant when you visit the clinic. This equipment is going to become a vital part of you so find out as much as you need to in order to make yourself comfortable. The base of a dental implant is usually made from titanium or other biocompatible material. Titanium has a long-standing history in the medical world and has many applications. This is because it is strong and resistant to corrosion. Titanium also has another unusual quality that makes it ideal for dental implants in Herefordshire. It bonds readily to bone during a process called ‘osseointegration’. This quality is utilized by Warrendale Dental when we place dental implants. We expect your jawbone to bond with your new equipment, in part, due to the material it is made from. This means that it effectively becomes part of the body and allows you to place a great deal of pressure on it. When you consider the many movements and directions of chewing foods, you’ll understand why this helps to create the superior eating abilities that come with dental implants in Herefordshire, compared to other tooth replacement methods. Your new teeth are fitted to the tops of your dental implants. It is common to have a single tooth replaced with just one dental implant as well as multiple teeth mounted on several. Sometimes, more than one tooth can be supported on a single implant depending on the location of the gaps and the strength of your jawbone. We create a unique plan for recreating your perfect smile when you visit Warrendale Dental. This entry was posted in Dental Implants on 29th January, 2019 by Warrendale Dental Care. You have no doubt heard about how dental implants in Herefordshire have been transforming people’s lives, giving them back the full functionality of their teeth. But do you know how they work exactly? Here at Warrendale Dental Care in Ross-on-Wye, we have seen time and again, how having dental implants in Herefordshire gives people back their enjoyment of life. We all enjoy a good curry, a good soup or stew, but imagine if that was all you could eat. Maybe you don’t even have to imagine being restricted to a soft food diet because you are already on one. This could be the case if you have lost so many teeth that the remaining ones no longer have their opposite number to chew against. Or it could be that you have been wearing dentures, which only offer about a quarter of the chewing power of a full set of natural teeth. When you have dental implants in Herefordshire, you get the full chewing power of your jaws back. This means that you can once again bite into a delicious, crunchy apple, even a toffee apple if you want. You can eat that pork crackling, those nuts. Nothing is off limits. Eating is such a fundamental and important pleasure in life that it is only when you have it taken away that you can appreciate how much it means to be able to eat well. 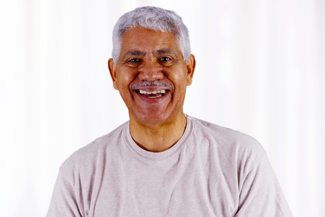 If you have gaps that are visible, or if you wear dentures that don’t quite fit anymore, then you are probably very self-conscious when you smile or laugh. You don’t want people to spot the gaps, see the wobble. Because dental implants are fixed into the jawbone, you can fill in the gaps and not worry about developing a wobble. There’s an amazing freedom that comes with not having to worry about what people are seeing your mouth. So, if you’d like to get that freedom back, eat what you like and laugh like a hyena again, then you need to explore dental implants in Herefordshire with us at Warrendale Dental Care. Come in and see us. We’d love to help you. This entry was posted in Dental Implants on 22nd January, 2019 by Warrendale Dental Care.